An Irish immigrant’s tale is a tender, stirring story about finding love where it is least expected. 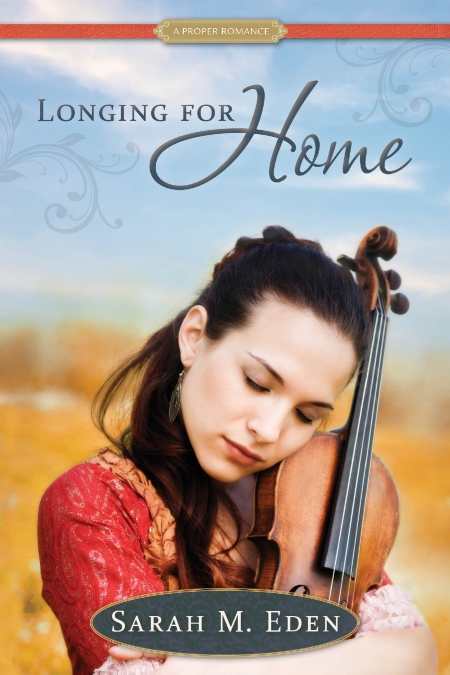 In Longing for Home, the latest historical romance by Sarah M. Eden, a woman struggles to right the terrible wrong she committed as a child, but finds her plans changing in the face of the care and love of two new men in her life. It is a tender and heartwarming story of love, forgiveness, and belonging, that will have readers laughing, weeping, and sighing with pleasure. Katie Macauley has been a housekeeper since the tender age of eight when her father gave her away. She came to America determined to earn enough money to return to Ireland and pay restitution to her family for what she believes is her fault regarding the loss of her father’s land and her sister’s life. Their forgiveness has become her desperate quest, but with her savings lacking, she agrees to a post as housekeeper in Hope Springs, Wyoming Territory whose pay promises her return within the year. Upon her arrival, the overly handsome, confident charmer Tavish O’Connor has her bristling. Her employer, Joseph Archer, a surprisingly younger man than she had expected, realizes she is Irish and tries to send her away. Katie wonders if she has made the right decision in coming. She doesn’t realize the mess she has just stepped into with the intense division in town between the Americans and the Irish, nor what difficulty her new post will create. So, with desperation pushing her, she pleads for her job. Friendships grow and love blossoms in the weeks that follow and despite growing tension and threats, Katie finds herself happy and having to make an unanticipated decision. Longing for Home is a longer book, but it is an easy, pleasant read with characters well drawn and easy to sympathize with. The many references to Irish lore and dialect, such as “lass” and “a lovely colleen, she is” will bring a smile of appreciation and, no doubt, a change in the reader’s own accent. The ending lacks closure, yet in the time frame given it ’s unrealistic to have solved every problem. It does, however, leave the reader with the pleasant sense that there is a book two in the making.